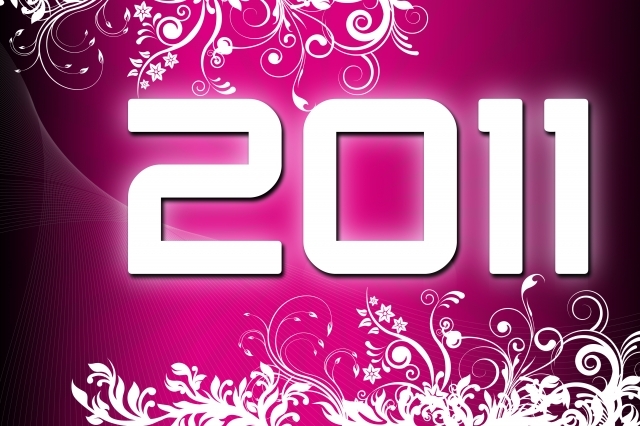 Make 2012 the year you take control of your career or business! Whether you know it or not, you already have a personal brand. But is it the brand or reputation you want or need to get ahead in your career or business? Working on your career is as important as doing a great job at work. It is easy to get caught up with deadlines, projects, and the everyday world of family and friends. When did you last take the time to evaluate where you are going in your career? And even more importantly, do you have a clear understanding or awareness of where you are now, what makes you unique, how others view you, and how you want others to view you? Give yourself the best gift possible for the New Year – an opportunity to take a step back so you can take an important step forward! An interactive all day workshop including individual and group work exercises led by Mary Rosenbaum. A workbook you can continue using and modifying after the workshop is over. Of course, breakfast and lunch. What they found valuable How did they change? Integral to the program is the 360 Reach Assessment, the first and leading web-based personal brand assessment that will help you get the real story of how you are perceived by those around you. It provides the critical feedback you need to expand your success and continue thriving in a competitive business environment. The first phase, the self-assessment and the raters assessment, will be assigned as pre-work before the workshop so that each of you will have your complete report with you when we meet as a group. The assessment focuses 99% on the positive, on your strengths and abilities, as the personal branding process is all about highlighting those attributes and qualities that help you stand out. It takes the raters you select (friends, family, colleagues, managers, clients) only 10-15 minutes to complete this on-line assessment. This assessment has already been taken by more than 700,000 people worldwide and the reviews are outstanding. The personal branding process cannot be completed without an understanding of how others view you. Why? Because it’s critical to know if how others view you is equal to how you view yourself. Give Yourself the Gift You Deserve. Part of leveraging your personal brand is communicating it to and connecting with people who are in your target audience. After all, you want those people who are in a position to be your brand ambassadors to know about you. The key is to expand your target audience beyond its current parameters – but in a meaningful way. This is not a numbers game. I am not encouraging you to increase your followers on Twitter, friends on Facebook or contacts on LinkedIn. Instead I am advocating a deepening of those relationships if they merit it and expanding your circle to include others that fit your parameters. What do I mean by that? Take a look at your existing network. A good way to do that is to look at your LinkedIn, Facebook and Twitter contacts and how they aggregate. Are they relationships that can expand your reach into communities that include your target audience? If so, do they have a good understanding of the value your bring to your organization or your clients? Can they be your brand ambassadors? A broadening and deepening of your relationships will ensure that the answer to those questions is yes. Here are some ideas for expanding your network. - Join an organization – professional or not for profit. Participate in a meaningful way so you can form relationships and allow your personal brand to shine through. - Increase your communication with people you see only once or twice a year. If possible, off-line always trumps on-line. - Introduce your friends and professional contacts to each other. Be generous with your contacts and they will be eager to reciprocate. - Contribute to the success of others. The goodwill that generates from this practice is priceless. Utilizing her experience of over 25 years Mary Rosenbaum empowers careerists and entrepreneurs to gain greater clarity and more effectively communicate their unique promise of value. Being a strong leader means leading with your strengths. Get her free report Top Strategies for Getting Visible and Getting Ahead. Feedback: Is It a Gift or Castor Oil? How open are you to feedback from those you work with and for, or even from friends and relatives? I know from past experience that praise goes down real easy. Constructive criticism, no matter how couched the wording, goes down like castor oil – it may be good for you but it tastes really bitter and you want to spit it out as quickly as possible. Have you ever walked down the street and caught your reflection in a store’s plate glass window? Is it the same image you see every morning in your bathroom mirror? I know for a fact it isn’t the same image for me or for most people I know. Seeing yourself with “fresh” eyes can be an enlightening experience. Obtaining feedback from others is a great way to see yourself with “fresh” eyes. But only if you let yourself really hear what they have to say. Recently I had an opportunity to provide feedback to my friend Carolyn, a real estate broker. Quite by accident I found out that a neighbor of mine had spoken with Carolyn about renting a house and came away from that conversation with the belief that Carolyn no longer wanted to work on rentals. Of course, this could not be farther from the truth as Carolyn relies on converting rental clients into buyers as well as benefitting from their positive word of mouth advertising. Yet, this recent exchange had just the opposite effect. I thought this would be a great opportunity for Carolyn to learn from this past exchange how she misrepresented the value she provides clients – her brand – and think of different ways to handle this in the future. Instead, Carolyn made this conversation all about how she did everything right and how the client was the one at fault. To further minimize the impact of this feedback, Carolyn ended by saying that this client’s opinions really did not matter. The feedback went down like castor oil – spit out as quickly as possible. As someone who specializes in helping clients understand, communicate, and leverage their personal brands, I know that one of the main ingredients in the branding process is being clear on the impact you have on others (seeing your reflection in a different mirror). Why? Because in your personal and professional life, your reputation, how you are known, will always precede you. You are always trying to reach your networks network so you have to know: What are your followers going to say to theirs? What information will Carolyn’s former client be passing along to others? And what impression has Carolyn been conveying to her other clients? 1. Solicit feedback. Ask those around you for ways you could improve upon what you do for or with them. They will feel flattered that you think their opinion is valuable. By having them try to help you get better or clearer on the way you work makes them feel like partners in your success. 2. Be courageous and be humble. Rather than becoming defensive and going into attack mode thank them for their honesty. Let the words sink in. Go back and think about what you heard not from the standpoint of how you felt when you heard them but rather how these words apply to what you know about yourself versus how others see you. Most importantly use these comments to help move you closer to where you want to be. 3. Reciprocate with honest feedback and become a partner in the success of others. For those of you who have the courage to gain a better understanding of how you impact others and how this affects your career or business, contact me for information on how an online 360 assessment can help you highlight your strengths and define your brand. Do you find yourself trying to fit some mental image you have of who you should be and how you should behave at work? I am not talking about behavior that is not acceptable in the world at large but rather some stereotype you have in your own head. I am talking about situations like being afraid to talk to colleagues about aspects of your life outside of work or avoiding language that make you seem too soft or feminine? Let’s take the second example. It is common in business to use metaphors based on sports or combat. Target, bull’s eye, winning team, rally the troops, getting to first base, striking out, combat escalating costs, how you play the game, playbook, running interference, smooth sailing, team building, a level playing field, coaching, the war for talent. I know there are a lot more but what I am trying to show is that the use of these words has become normal in everyday business. And my question is, who determines what is normal or acceptable? We do. The more we use these metaphors and language or the more we repeat behavior the more universally accepted and expected they become. I attended a breakfast event this morning by the New York Women’s Foundation. It was a wonderful event that celebrated the successes of a variety of organizations and individuals dedicated to improving the current and future lives of girls and women. One of the speakers, Jennifer Buffet, gave a wonderful talk describing her journey into the world of making a difference. She used words like nurturing, caring, loving, defining, fulfilling. In fact, she mentioned that when she asked others for advice while preparing her speech, she was told to eliminate many of those “soft, feminine, emotional” words in favor of more powerful ones that would “charge up” her listeners so they would reach for their checkbooks. Rather than project an image in the way others thought she should through her use of language, Ms. Buffet decided to be who she was instead. She has a strong personal brand and it really came through. Her message, her authenticity and her honesty was what made the attendees reach for their checkbooks. The same holds true for you. Being authentic, whether it’s telling stories at work about your kids or talking about how moved you were by an event you attended or how proud you were when you ran in the marathon, you are setting the terms for what is acceptable and for what can be expected. And being authentic and honest is how you can more easily connect and form relationships that enable you to do the work you do. So you know the formula, acceptance is based on repetition. The more you allow your personal brand some breathing room and exposure, the more authentic you come across, and the more acceptable your actions and your words. I would love to hear about some of your past and present SHOULD’s. Have you let your personal brand shine through? I think we can all agree that your passion about what you do is what gets people into the room. Passion is infectious and makes people want to connect with you – they listen and gravitate to you. But once you have them in the same room, how do you keep them there? It is all about the value you deliver. And in today’s world, value is a moving target. Things change so quickly. The way you provided your services or did your job a year ago may still work but because of increased competition and greater demand for better/faster/less expensive results it has become necessary to constantly improve upon what you deliver. In order to differentiate yourself and maintain your usual high level of performance it is important to view your expertise as a work in progress, a target that keeps moving away just as you seem to reach it. I know the work I delivered 5 years ago, or even a year ago, is vastly different than what I provide for clients today. And hopefully what I deliver today will morph into something even better a year from now. I take classes, read books, articles, blogs, am part of discussions. I do all this so I can learn about and practice new tools, experiment with cutting edge techniques that enhance what I provide clients in a way that takes them to a new level. And as a result, they are constantly challenging me to come up with even better ways of working with them. I look at coaching as a puzzle. Every time I complete the puzzle, I find different pieces that make the puzzle bigger, better, and more interesting. And you can too. These are some of the demands I make on myself so that I can keep changing and growing, staying ahead of the curve so my performance stands out from the crowd. 1. Alway curious. Find the student in you and keep him alive. It is easy to be complacent when you reach a certain point in your career. If you are considered an expert or a leader, it is even more important to keep looking for ways to stay on a learning curve as you teach or lead others. 2. Open minded. Valuable insights sometimes come from the most unlikely sources. I know I have made connections to the work I do from the most unexpected places including a stand up routine by Colin Quinn on the evolution of mankind, a session with a “genius” at the Apple help store, and even an interaction with the check-out people at my local Fairway supermarket. Listening fully and being in the moment wherever you are provides you with great opportunities for being open minded. 3. Flexible. There is often more than one way to complete a project or do the work you do – in a world where there are many more experts across so many industries and specialties there is greater demand for customization, not standardization. Flexibility enables you to work with and for different cultures and in different environments, each with their own set of unique requirements. 4. Collaborative and generous. The whole is equal to greater than the sum of its parts. The end product is often better when you can work with others whose expertise dovetails with yours. Sharing the credit for a job done exceptionally well is far better than taking the full credit for work that is mediocre in some areas while outstanding in others. Your unique value really comes through when you spotlight it without burying it in work that does not reflect well. 5. Comfortable with change. As your skill set grows your focus on what you do and how you do it changes. And change can be uncomfortable. Incorporating a new way of thinking or behaving can often feel like being in a rudderless boat adrift in the middle of the sea. Allowing yourself the opportunity to experiment and even fail at times is important in order for real growth to occur. Are there other ways you keep your eye on the moving target? Let me know and I can add it to my list. I am sure you remember learning about the 5 W’s of writing when you were in school – Who, What, When, Where and Why. The 5 W’s for report or article writing were ingrained in all of us as a means of communicating enough information so the reader understood the facts. In Personal Branding, the best way to communicate your differentiating values and skills is to answer the questions: What, Why, and How. In a past post I wrote about the importance of Why – your passion – in having others understand what motivates you to do what you do. The background story provides a stickiness and makes it memorable in the mind of the listener. It helps them connect with you on a deeper level as the Why shows rather than tells them about your values. The What consists of your skills, abilities, education, experience, talents – everything that I call table stakes. The What is what gets you in the game. The What is not what makes you stand out. What you do can be replicated and ultimately commodified with time. There are many lawyers, doctors, accountants, financial analysts, coaches, etc. whose What equals or surpasses yours. What they do may not be identical but it may be a good substitute for what you do. This is not meant to minimize your abilities but to recognize that the way to stand out and be memorable is through your Why and your How. The How enables you to form the bonds and the relationships that result in developing the trust and like-ability you need for someone to recommend you, use your services, promote you, or hire you. As much as your Why shows the listener what some of your values are, the How shows them the way your values lead your life, your career, or your business. I was at someone’s home a few weeks ago and a client of my husband’s firm was there. She is not only a client, she is one of their brand ambassadors. She recommends the firm to others whenever she has the chance. I asked her why she recommends them and what she says about them when talking about the firm. There was no mention of their skill set, the results they delivered, or their knowledge and contacts within the industry. Those were a given. They were the table stakes of what got them in the game. The attributes and values she focused in on were the ones that made the overall experience of working with them rewarding, professionally and personally. In fact, she readily admitted that there are several competitors who have similar skill sets and can do a fine job. But the How of what my husband’s firm does is what tips the scales in their favor. It’s what makes them stand out from the competition. The How of what you do reflects your values and the values of your organization. So it’s important to understand what your values are and determine whether the How of what you do authentically represents those values. 1. Get input from your tribe – colleagues, referral sources, clients, bosses – How does what you do affect their opinion of you? Conducting a 360 assessment is probably the most effective way of learning what others think of you. Get those opinions that don’t focus on your expertise – your what – but on your how and why. 2. Do a self assessment – What are the values that are most important to you? 3. How do your values line up with those of your company – are they synergistic or in conflict? How does that affect your work and perceptions of how you perform? 4. Are you in alignment with your values? Is the How of what you do an authentic representation of what you believe in and the way you want to work – or do you feel as if your life is bifurcated, you behave one way at work and another outside of work? Understanding how your values affect How you do what you do requires both introspection and external feedback in order for it to be meaningful. It is an important part of unearthing your Personal Brand and will lead to more informed behavior on your part and improved success in communicating your unique promise of value. Without it you become a commodity and then it’s all about the price. I am sure you have already thought about what you want for yourself for the New Year. Health, happiness and success are certainly up there with subheadings that include making more money, getting more clients, receiving that promotion, meeting Mr. or Ms. Right, staying healthy, exercising more, having more fun, etc. I thought I would like to share my list with you – all under the major heading of: Do What You Love and Love What You Do! 1. Innovate: The only way for you to do this is to keep learning, growing, and being open to new ways to solve old problems. One thing I have learned as a career professional is that change is a constant. I love what I do and one reason why I am passionate about my chosen profession is the ability to be creative, to keep things new and interesting. 2. Collaborate: You may think you are great at everything (and maybe you are) but the best way to be successful in your career or business is to collaborate with those who can provide value in areas a)you may not enjoy b)you may not be as good at as they are c)that take time away from work that you want to do d)that take time away from work that keeps you on brand, on target, and profitable. And besides, it’s more fun to collaborate, share the burden, learn from each other, while gaining the benefit of focusing on what you really want to do. 3. Build Your Tribe: Find others who you can support and who can support you and connect them with each other. The more connections you make for them, the stronger your tribe and the greater the bonds between all of you. 4. Define Your Brand: Be clear on what your value added is, on how you want to be perceived by others, and on being authentic in everything you do. Stay on brand and you will remain focused on your goals. 5. Take A Stand: Stand out by taking a stand. Be clear on what you believe in, what you offer, and why. Strong brands are not wishy washy. Give opinions that are based in fact and experience and you will attract those who admire you for it. 6. Reach High: Set your goals so they are a reach and not a slam dunk. Keep the rules for goals setting in mind: Keep goals Specific, Measurable, Attainable, Relevant, Time-frame specific. 7. Give Back: Always look for ways to help those who need it. If you are fortunate enough to be working or own a business that is doing well, look for ways to help others on their way up. Also, helping others through charities is another great way to give back. So give, give often, give willingly, and give of yourself. Feel free to add to this list and if you feel inclined, share with all of us as part of your giving back. I look forward to continuing our conversation in 2011. Build Your Tribe of Supporters: Who Is In Your 150? How many people do you know with whom you have a real relationship.? When I look at the numbers of contacts/friends/followers that some people have on Facebook, LinkedIn, Twitter it appears there are many people who have hundreds and even thousands on their list. The proliferation of social media sites has created an environment where being “connected” with someone does not have the same connotation it once did. There seems to be some confusion about the value of these contacts and what it really means. Social media enables you to get the word out to vast numbers of people in a very short period of time. On such a vast scale, social media should not be confused with relationship building. Sometimes relationships develop, but those are isolated instances rather than common place occurrences. Robin Dunbar is the director of the Institute of Cognitive and Evolutionary Anthropology at Oxford University, author of How Many Friend Does One Person Need? According to Mr. Dunbar, 150 people are the most any one person can be in a relationship with involving trust and obligation. These are relationships where there is some personal history, not just names and faces and perhaps the occasional shared tweet. The reason for this is simple, it takes energy, time, and mental capacity to build and maintain relationships. According to our brain capacity, 150 is the limit. Beyond the 150 number, the tie that binds you to greater numbers of people are superficial and never extend beyond the occasional message, tweet, or shared photo. Social media has created a new way for you to “keep in touch” with those you would probably never have contact with again before these vehicles became so prominent. The question I have is if you are spreading yourself thin by trying to maintain some form of relationship with vast numbers of people, are you diluting even the ones that would fall into the category of “real” relationships? Are you confusing followers with supporters? I think instead of trying to grow your contacts or following by including large numbers of people who you cannot develop any sort of relationship with, your time might be better spent deepening the ones that could be part of your tribe - those who support you and what you do and those you can support in return. Have I succeeded in deepening my relationships to a level where I can provide support? How many meaningful relationships do I have? Am I anywhere near my Dunbar number of 150? Do I have the right people in my 150? If not, what steps can I take to move myself forward?